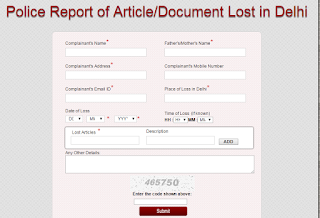 Reporting loss of articles/documents is easy with the Delhi Police as they have started the service for citizens register online complaint for any loss of articles or documents. 2. 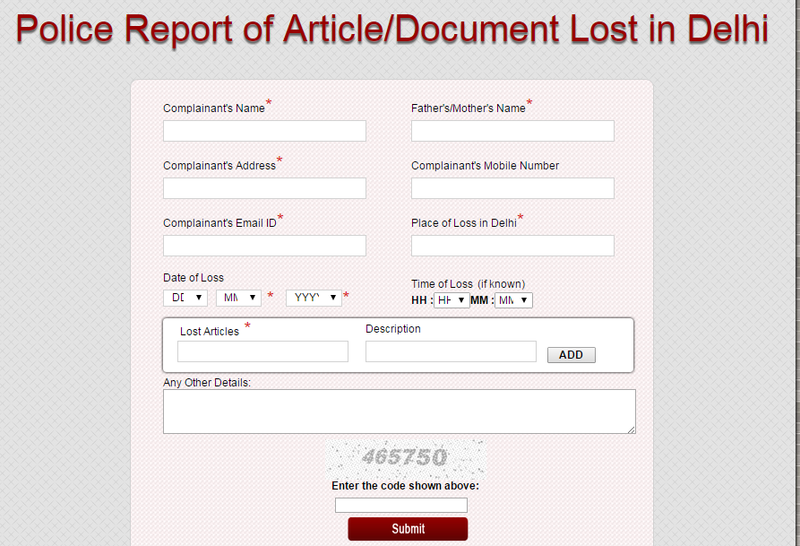 Click on "Register" button available in LOST REPORT section. Enter the captcha image and click Submit button to register this with Delhi Police. After submission you will receive the complaint number that you can use along with your email address to track your complaint further.